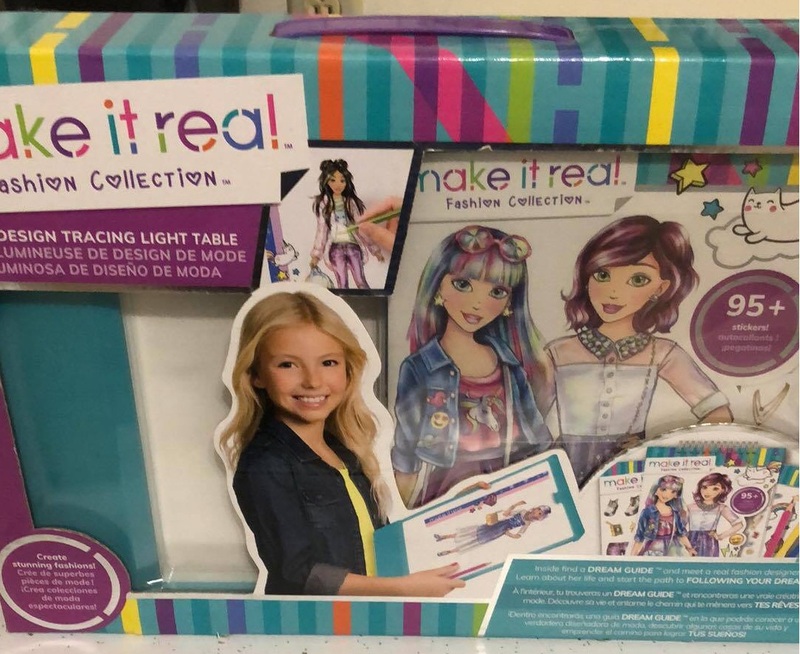 Make It Real has lots of Nice Kits! Make it Real has provided me with these awesome products in exchange for an honest review. This is the Fashion Design Tracing Light Table. This thing is so much fun. The kit includes the light table, a sketchbook with design guide and stickers, 3 colored pencils, instructions and Dream Guide magazine. You can use this to design your own fashion pieces. Operates on 3 AAA batteries. Just place anything that you want to trace onto the light table, then place the tracing paper on top. When you turn it on, the table lights up so you can trace the original that you want to trace. 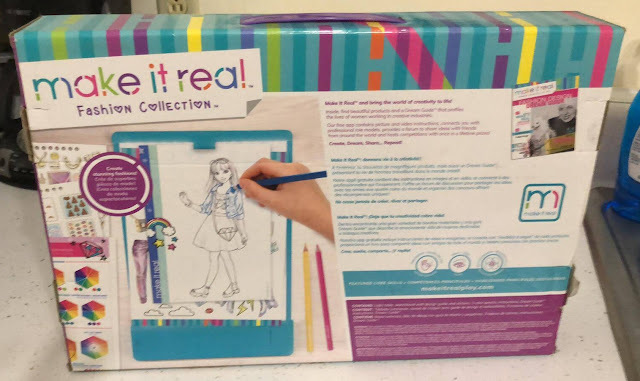 This teaches the aspiring fashion designer learn to sketch designs. But you can use it to trace anything that you want. My kids and I also use it for crafting patterns. Next is the Juicy Couture Chains and Charms Kit. 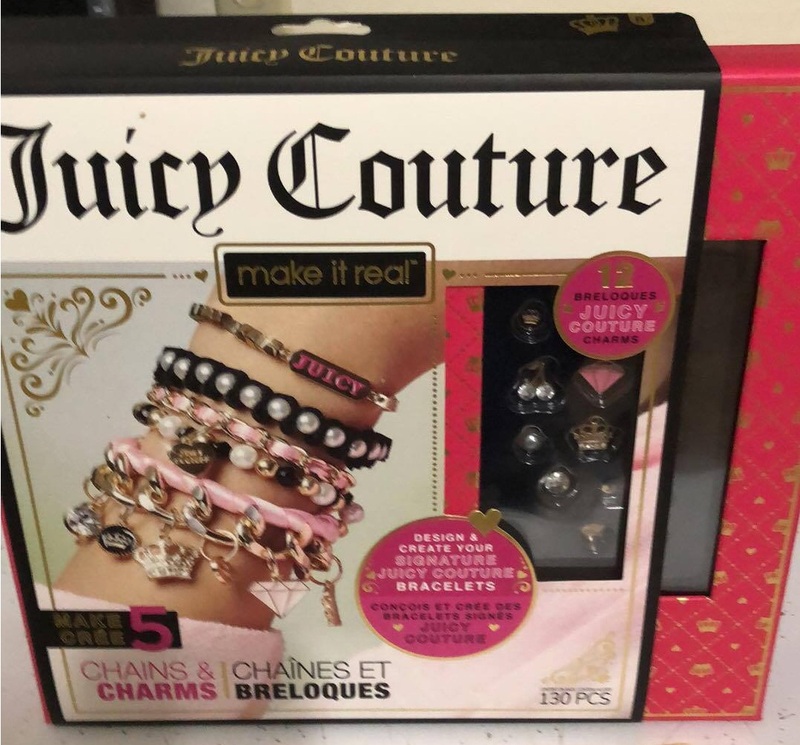 The kit cantains 12 Juicy Couture charms, 100 various beads, 15 metallic pieces, velvet ribbon, pink ribbon, chains, sewing kit, clear thread and instructions. 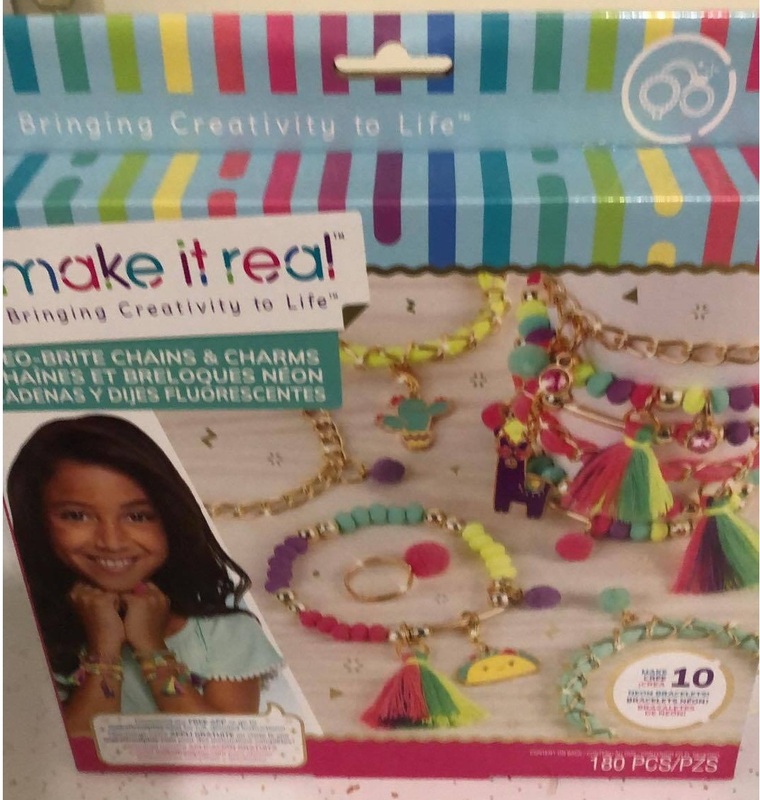 Kids can mix and match the chains, charms and ribbon to create their own personal style bracelets. 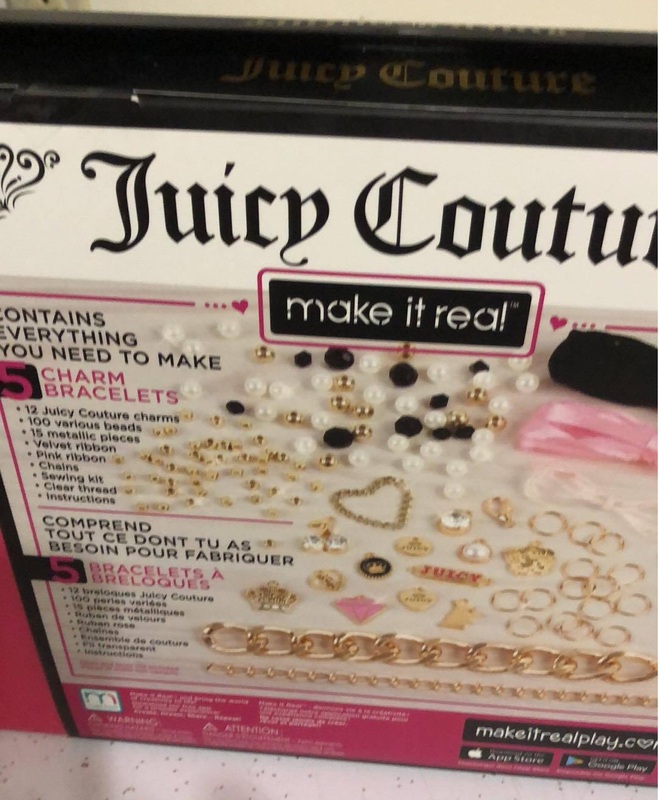 They will enjoy wearing jewelry that they created themselves. 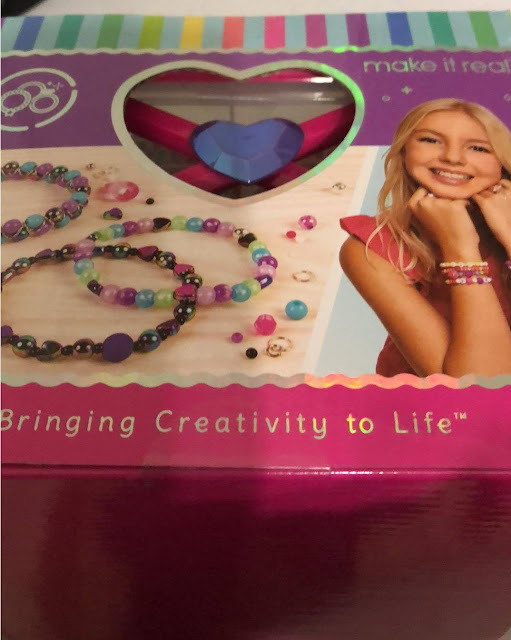 The Neo Bright Chains and Charms kit allows you to create 10 bracelets and a pom pom ring. The kit contains 160 various beads, 3 unique charms, 3 tassels, 6 pom pom charms, 3 gem charms, 3 colors of elastic fabric cords, 5 pieces of gold curb chain, 1 adjustable ring, 1 pink pom pom, clear elastic cord, instructions and play tray. It's very easy for kids to create their own jewelry with this kit. 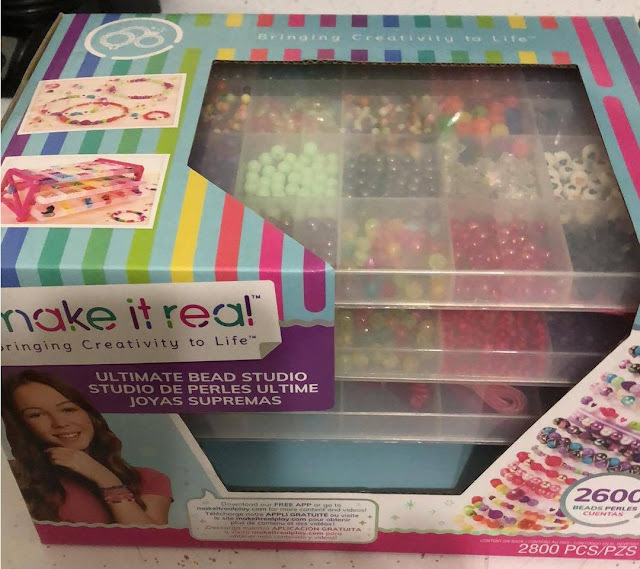 Finally we have the Ultimate Bead Studio. This thing has a whopping 2600 beads! Your daughter can create tons of jewelry pieces with that. The kit also contains 120 jump rings, 8 colors of waxed cord and clear elastic cord. It comes in a nice compartmentalized case that keeps everything organized nicely. 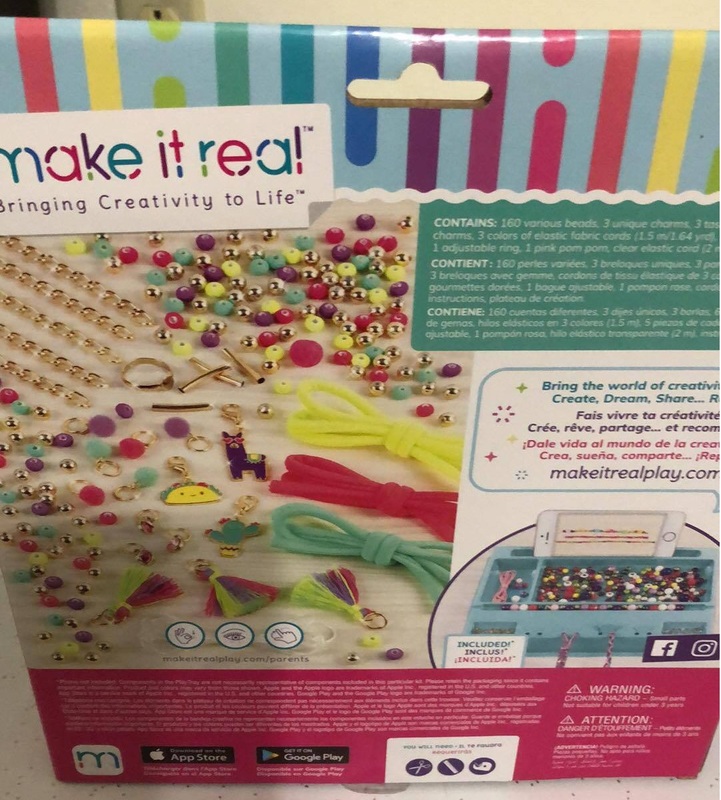 So everything you need to create bracelets, necklaces, headbands, rings and much more are available at your fingertips.